Prehistoric World in Morrisburg, Ontario is a quaint throwback to roadside attractions of yore. There’s nothing fancy here; it’s just a stroll through the park among painted concrete dinosaurs and prehistoric mammals created by local artists Paul and Serge Dupuis, but it’s simple fun and education for a reasonable price. The Dupuis brothers have been creating these life-sized sculptures for over 37 years. They depict primitive reptiles of the Paleozoic period to large mammals of the Cenozoic and Quaternary. Each sculpture features a plaque with information about the creature. There are currently over 50 sculptures. For kids, there’s something fascinating about the hugeness of dinosaurs. It’s hard to believe creatures like this once existed. Kids can rattle off complex Latin names with ease. I’ve forgotten half of what I used to know about all the different species and popular theories. Rebels holed up in a stone gristmill held off the British Army for several days before being forced to surrender in this odd chapter in Canadian military history. The Battle of the Windmill was a strange episode in North American history, when British and U.S. forces cooperated to put down a rebellion in Upper Canada, known as the “Patriot War”. The battle was fought from November 12 to November 16, 1838, between Nils von Schoultz and 250 rebels against 1,133 Canadian militia, 500 British regulars, and the British and U.S. Navy two miles east of Prescott, Ontario. The entire rebel force was killed, wounded, or captured. On November 12, approximately 250 armed members of a “Hunters’ Lodge” attempted to land in Prescott, Ontario to touch off a war against the British ruling class. A show of force by the Prescott militia gave them second thoughts, so they occupied the nearby hamlet of Newport and Windmill Point, where they awaited reinforcements from the United States. The next day, British infantry from the 83rd Regiment and around 600 Canadian militiamen attacked the rebels, who had holed up in and around an old gristmill. The short battle left 13 British killed and 70 wounded. The rebels lost approximately 18 killed and an unknown number wounded. The standoff continued as Nils von Schoultz and his Hunters’ Lodge militia waited for help from across the river in Ogdensburg, however, a blockade by British and American naval forces and efforts by American authorities in Ogdensburg prevented any relief. The British Army decided to bombard them into submission, and they surrendered on November 16. The Hunter rebels lost 53 dead 61 wounded. Of the 136 who surrendered, 11 were later executed in Kingston, and 60 were exiled to Australia. Fairmont Château Laurier in Ottawa, Ontario, is Canada’s most lavish and elegant hotel and sits just up Wellington Street from Canadian Parliament. The granite and white Italian marble building was designed in French Renaissance and neo-Gothic style and built in 1912 for $2 million at the behest of railroad baron Charles Melville Hays. Some say he never left. Hays was born in 1856 in Rock Island, Illinois and raised in St. Louis, Missouri. Like many railroad tycoons, he began working at a railroad company as a young man and climbed up the ranks through hard work and dedication. He eventually became General Manager and later President of the Grand Trunk Railway of Canada. Hays dreamed of building a continental railroad across Canada with luxurious hotels for passengers along the way. Tragically, just twelve days before the Château Laurier opened, Hays drowned when the RMS Titanic sank in the Atlantic Ocean on April 14, 1912. Since its completion, royalty, heads of state, politicians, and celebrities have all the graced the Château. Three movies: Captains of the Clouds (1942), Little Gloria: Happy at Last (1982), and H2O (2004), were filmed there. Despite its romantic appearance, several deaths have allegedly occurred in and around the hotel, including suicide by jumping from the upper floors. Many strange stories center on the former Canadian Broadcasting Corporation (CBC) radio studio on the seventh floor, which occupied that space for 80 years. Former CBC Chairman Patrick Watson reported several unnerving incidents in his nearby suite. The ghost of an unnamed child has also been reported. The Prince George Hotel, a downtown Kingston, Ontario landmark, began its life as an elegant residence. 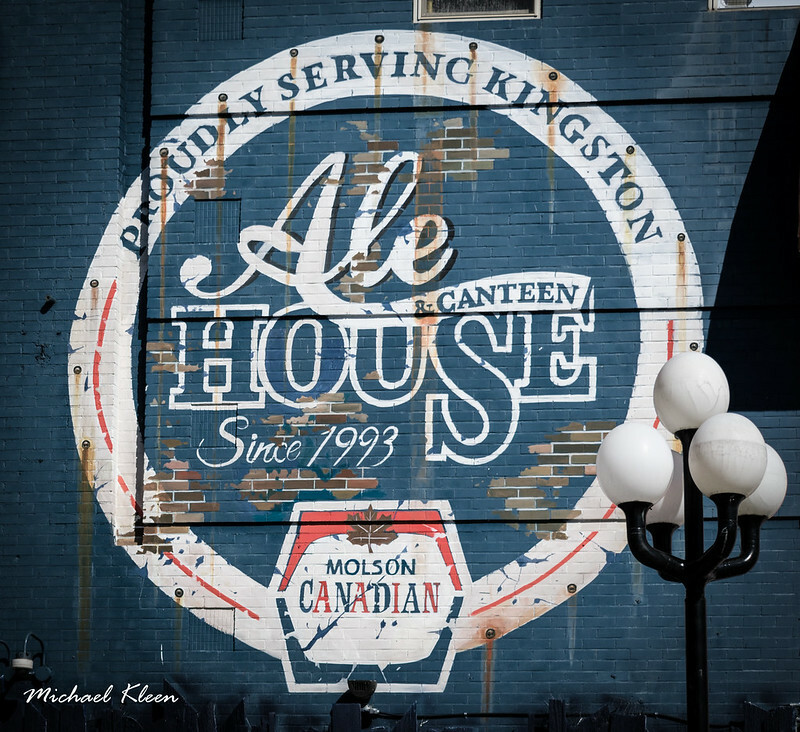 Since then, it has anchored Kingston’s historic Market Square and been part of the city’s rich history and folklore. It was originally a family home owned by Lawrence Herchmer, built between 1817 and 1820 adjacent to Kingston’s City Hall on Ontario Street. Lawrence’s widow, Elizabeth, moved into the home upon its completion in 1820. In 1840, their son, Charles Herchmer, took over as owner and rented it to his son-in-law, John Macpherson. In 1846, merchant William Henry Alexander leased the building and converted it into commercial shops and warehouses. Two saloons, one owned by James Elder and the other by William Alexander, opened on the ground floor. A fire damaged the businesses in 1848. Shortly after, William Alexander began constructing a new building on the property, designed by William Coverdale. According to the Ontario Heritage Foundation, in 1892 the two buildings were unified with the addition of a full width verandah and balcony and a Second Empire style mansard roof, creating the distinct facade we see today. The Prince George Hotel opened in 1918. Ghostly activity in the hotel centered on the third floor, particularly Room 304. According to Glen Shackleton, proprietor of Canada’s original haunted tours, staff reported electrical disturbances and doors opening or closing on their own. Guests spotted the shadowy specter of a woman and an adolescent girl. In Room 304, one elderly couple complained that the second bed in the room was floating three feet in the air! 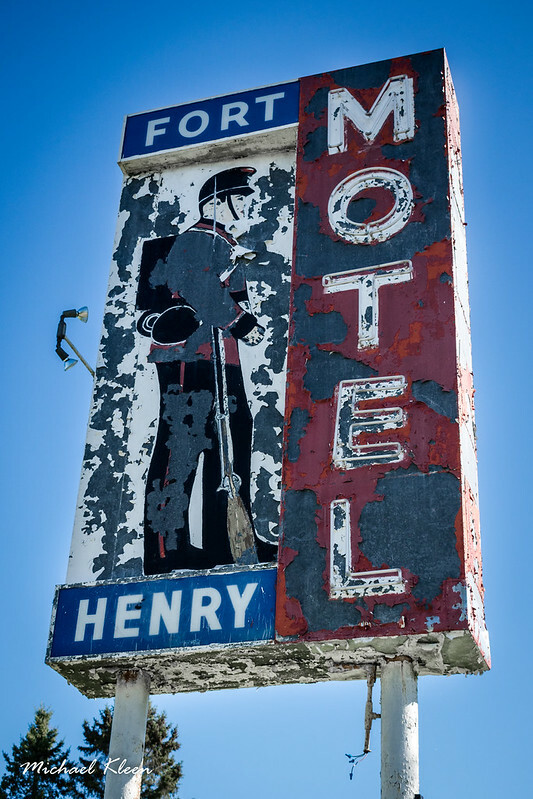 Sign for the Fort Henry Motel at 848 Highway 2 East, Kingston, Ontario.